This is a running list of national Catalina deals spotted in stores across the country. 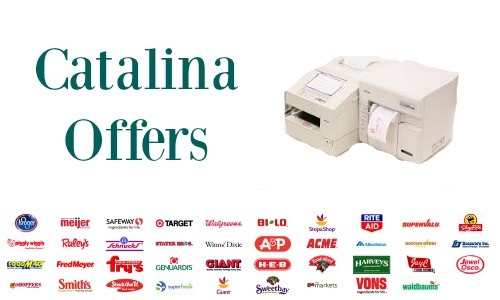 Generally these promotions run at all stores that have Catalina Machines, however sometimes they are region and store specific. You can call 1-888-8Coupon if you have problems or questions about a deal in your area or submit a ticket online if you feel like you should have gotten one to print and it didn't. These are the coupons that print next to your receipt in many stores. They usually require a total purchase amount or quantity to print. For example buy 3 of the same item and get the Catalina coupon back. They are good on your next purchase, and most are good off your total purchase. That means it's just money off, you don't have to buy anything special to use them, just to earn them. The only way we learn about Catalina coupons is from folks that find them in the store. If you receive a print out or see a tag in your store send me email to jenny@southernsavers.com and I'll add it to the list!